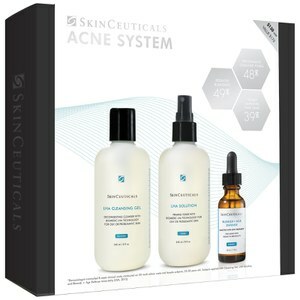 Improve your skin's overall appearance with the SkinCeuticals Brightening Skin System; a targeted homecare kit that helps to target uneven skin tone, discoloration and lack of radiance. 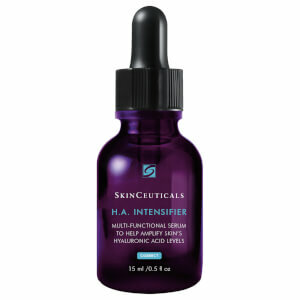 An antioxidant face serum that delivers advanced protection against daily aggressors. 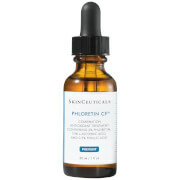 The high performance daytime treatment is formulated according to the Duke Antioxidant patent (to ensure effective delivery of Vitamin C), and utilizes a patented combination of 2% Phloretin, 10% L-Ascorbic Acid and 0.5% Ferulic Acid to neutralize external attacks, reinforce skin's natural protective functions and improve skin's overall appearance. It refines texture and diminishes the look of hyperpigmentation, brightening and unifying skin tone for healthy-looking complexion. A dark spot corrector that reduces the appearance of hyperpigmentation caused by sun exposure, medical procedures or acne. Formulated with 3% Tranexamic Acid, 1% Kojic Acid, 5% Niacinamide, and 5% HEPES, the treatment targets stubborn brown patches and post-inflammatory discoloration to even the skin tone and help to minimize the appearance of future marks with continued use. In as little as two weeks, the complexion will be unified, radiant and visibly healthier-looking. A broad spectrum sunscreen that is suitable for even the most sensitive skin. The weightless formula smooths effortlessly over skin to provide UVA and UVB defense while using Artemia Salina, a plankton extract, to reduce heat-induced stress. The translucent sun block helps to create an even and luminous tone without leaving behind any white streaks and is water resistant for up to 40 minutes. Expect radiant and healthy skin from top to toe. 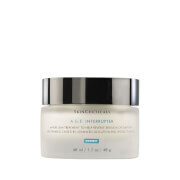 A night-time concentrate formulated to reduce the appearance of fine lines, wrinkles, dark spots and blemishes. Powered by 0.5% pure Retinol that is slowly and even released to minimize irritation, the treatment targets visible signs of aging, whilst promoting skin renewal to reveal a radiant, youthful-looking complexion come morning. SkinCeuticals Retinol products contain an innovative delivery system based on the skin’s lipid structure to help ensure absorption. 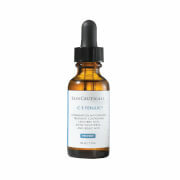 Antioxidant Serum: Apply 4-5 drops to a dry face, neck, and chest in the morning after cleansing and toning. 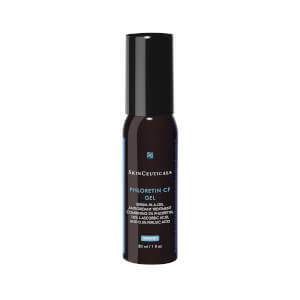 Complete your regimen with a SkinCeuticals sunscreen. Discoloration Defense: Twice daily, apply 3-5 drops to face. Limit sun exposure while using this product. Do not use on irritated or broken skin. If irritation occurs, discontinue use. Physical Fusion: Shake well before use. Apply sunscreen liberally to the face, neck, and chest 15 minutes before sun exposure and before applying makeup. Reapply sunscreen after 40 minutes of swimming, sweating, immediately after towel drying, and at least every two hours. For children under six months of age, consult a physician before use. Night Cream: In the evening, apply 4‐5 drops to clean dry skin, avoiding the eye area. Allow product to absorb before applying other skincare products. Limit initial use to once or twice a week, gradually increasing frequency to every other night, then every night as tolerated. It is important to establish consistent skin tolerance before advancing to a higher concentration. Always use a high-protection, broad spectrum sunscreen when using this product. Antioxidant Serum: Aqua/Water, Dipropylene Glycol, Alcohol Denat., Ascorbic Acid, Butylene Glycol, Triethyl Citrate, Phloretin, Ferulic Acid. Discoloration Defense: Aqua / Water, Butylene Glycol, Niacinamide, Hydroxyethylpiperazine Ethane Sulfonic Acid, Glycerin, Tranexamic Acid, Propylene Glycol, Hydroxyethyl Urea, Kojic Acid, Caprylyl Glycol, Allantoin, Chlorphenesin, Xanthan Gum, Disodium Edta. Physical Fusion: Titanium Dioxide, Zinc Oxide, Water, Dimethicone, Isododecane, C12-15 Alkyl Benzoate, Undecane, Triethylhexanoin, Isohexadecane, Nylon-12, Caprylyl Methicone, Butyloctyl Salicylate, Phenethyl Benzoate, Styrene/Acrylates Copolymer, Silica, Tridecane, Dicaprylyl Carbonate, Dicaprylyl Ether, Talc, Dimethicone/Peg-10/15 Crosspolymer, Aluminum Stearate, Pentylene Glycol, Peg-9 Polydimethylsiloxyethyl Dimethicone, Alumina, Polyhydroxystearic Acid, Phenoxyethanol, Magnesium Sulfate, Caprylyl Glycol, Iron Oxides, Peg-8 Laurate, Disteardimonium Hectorite, Triethoxycaprylylsilane, Tocopherol, Propylene Carbonate, Artemia Extract, Benzoic Acid, C9-15 Fluoroalcohol Phosphate, Peg-9. Night Cream: Aqua/Water/Eau, Propanediol, Dimethicone, Cetearyl Ethylhexanoate, Alcohol Denat., Dipropylene Glycol, Ammonium Polyacryloyldimethyl Taurate, Allyl Methacrylates Crosspolymer, Acrylamide/Sodium Acryloyldimethyltaurate Copolymer,Hydrogenated Lecithin, Isohexadecane, Retinol, Phenoxyethanol, Caprylyl Glycol, Polysorbate 20, Isopropyl Myristate, Sodium Citrate, Boswellia Serrata Gum, Polysorbate 80, Dimethiconol, Trisodium Ethylenediamine Disuccinate, Bisabolol, Bht, Sorbitan Oleate, Citric Acid, Propyl Gallate.